A stream processing platform is not an island unto itself; it must be connected to all of your existing data systems, applications, and sources. 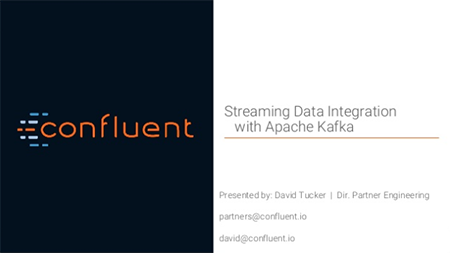 In this talk we will provide different options for integrating systems and applications with Apache Kafka, with a focus on the Kafka Connect framework and the ecosystem of Kafka connectors. We will discuss the intended use cases for Kafka Connect and share our experience and best practices for building large-scale data pipelines using Apache Kafka. This is talk 3 out of 6 from the Kafka Talk Series. This was recording from October 27, 2016.